ellie Jan 01 2019 8:11 pm So cool to see him in 12 nights. Love his character! 지네 노츄 Oct 19 2018 5:41 pm thats why he look familiar in my eyes..hahah..i'm waiting for you to be a lead hero since hello,my twenties s1.. ?? i will enjoy your acting with han seung yeon eonni,oppa fighting,let's 'meet' frequently in a new drama. i love u ??? VHW Apr 07 2018 11:51 pm I first saw him on Ruler and he looked so manly and hot.In reality, he looks damn cute.I hope he would act in another historical drama similar to his character in Ruler.He suits that character well. jinjoo Feb 25 2018 11:37 pm i really enjoy you in MGL drama and you're very cute/funny! hope to see more of you! fighting! Salfarina Ruzlan Jul 09 2017 8:29 pm Any KDrama guys in historical drama with long hair for sure look so handsome! No doubt! citta Jul 02 2017 2:39 pm happy to see you again in Age Of Youth S2 ^^ !! tsukino May 24 2017 9:59 am he act in ruler so hot. but in YOF he so nerd.. hahhaa. so funny. Daylight May 21 2017 5:57 pm Idk why but I fell in love with his character in Ruler: Master of the Mask. So manly.. and so protective. Ugh. I hope to see him in future dramas/movies. Putri May 13 2017 1:06 am So handsome and so tall??? Jelly May 11 2017 9:12 pm He is handsome in ruler of the master lol. Vkook Jan 17 2017 8:24 am I hope he will continue to act in more dramas in 2k17..
arik Aug 13 2016 11:48 pm really, this sonbae hooked me up!! can't stop seeing his adorable smile..
--Son Son Aug 11 2016 6:43 am I also thin this actor is in Thumping Spike. I watched that drama last night, just wanted to post so you guys can (possibly, not saying that you have to) update the information on this page. IkAsifa248 Aug 08 2016 10:45 pm I like him cause 'Age of youth'.. he's cute sunbae..
HanHan Feb 22 2016 5:22 am oppa, I need to see u in more drama,,, I love your acting altough it was so little scene,, I think you are so handsome and manly :D hahaha :* luv you, Fighting ! 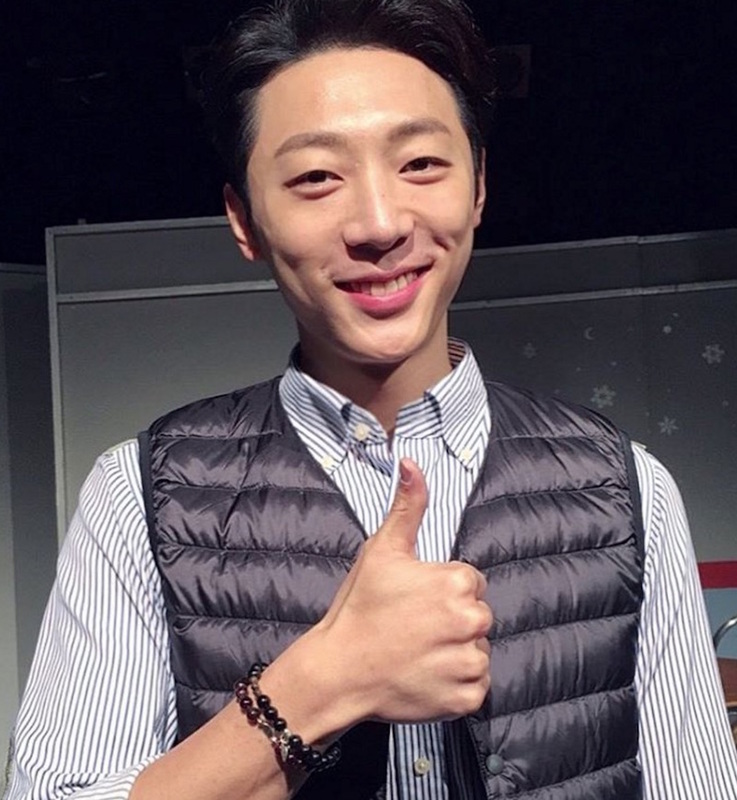 Sera Feb 18 2016 4:39 am He looks like Block B's Zico in Remember- War of Son!